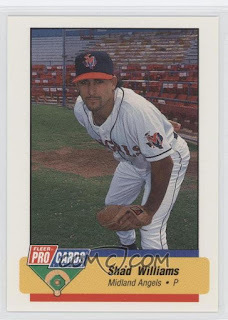 1993 Midland Angels - Fresh Fitted Friday!!!! Hello, I am the Baseball Milquetoast and I am a San Francisco Giants fan whose World Series championship dream has been crushed at the hands of Joe Maddon for a second time. His first transgression was that he was the bench coach for the 2002 Anaheim Angels who defeated the Giants and I'm pretty sure his strategies enabled that stupid Rally Monkey. Maddon spent 31 years as a player, coach and manager within the California/Arbitrary SoCal City Name Angels organization and this celebration in 2002 was easily one of the greatest highlights of his tenure. Maddon is now the manager of the Chicago Cubs and his second wrongdoing toward San Francisco came last Tuesday night when the Cubs rallied from a 5-2 deficit to defeat the Giants thus advancing to the NLCS. The wound is too fresh to bear the thought of sharing a photo of this recent iniquity but for this one you can do an image search without my help. 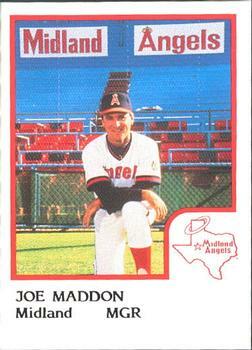 I am however happy to share a photo of a young Joe Maddon when he was the manager of the Midland Angels in 1986. Although I couldn't procure this exact hat, I have found one that is pretty neat. I've posted about a 1995 Midland Angels cap before but I like the understated nature of this version which is unique to the 1993 season. Notice the hallmarks of early 1990's New Era caps as this one has a squarish brim as well as the lack of the MILB batterman logo. This is an interesting combination of sweatband tags with the pre-5950 "New Era" tag along with the size tag that was used from 1994 to 1996. 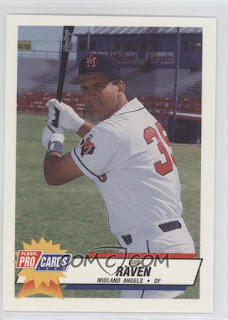 Luis Raven only played for Midland in 1993 and the hat he's wearing here seems identical to this week's Fresh Fitted, which by the way is so Raven. The Midland Angels hat worn in 1994 has a gold halo and star as well as a red brim. Also, the background outline of the Texas map is a bright blue. 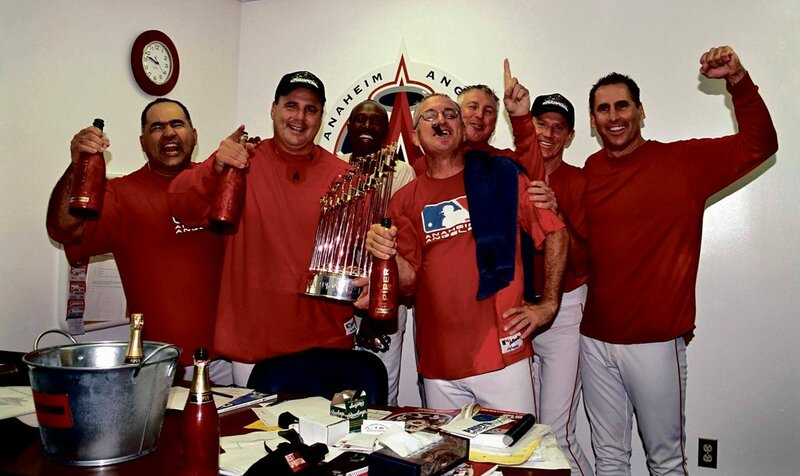 I hope you enjoyed reading about this Midland Angels cap but the real reason for this post was to make a plea to Joe Maddon. I need Joe to promise me that the Cubs will follow through on their hyped-up status in order to defeat the Los Angeles Dodgers in the NLCS. Let's hope this voodoo works, Giants fans!